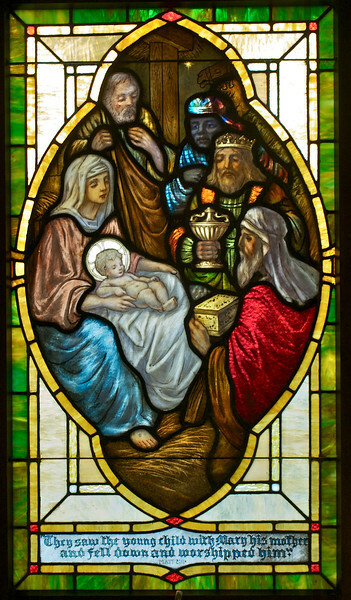 The three kings visit the stable. I believe this window has been restored. Many others are still awaiting treatment.